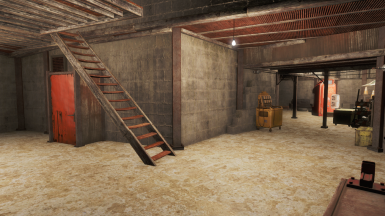 My take on Home Plate. 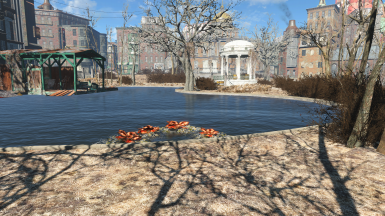 This is a clean oasis right in the heart of Diamond City. 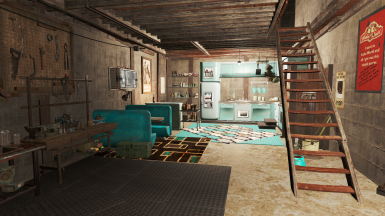 My take on the Goodneighbor Apartment mod by Calarand77. This is a clean oasis in your favorite grungy neighborhood. 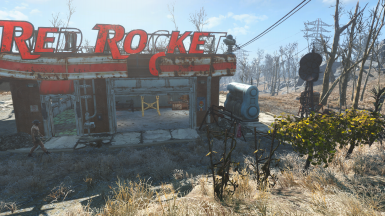 Fully scrapped Red Rocket (vanilla only, no scrap mods), 4 beds, crops for a few people, nuclear power generator, large water purifier, turrets around Red Rocket roof, and includes crafting related benches/power armor stations all gathered together. 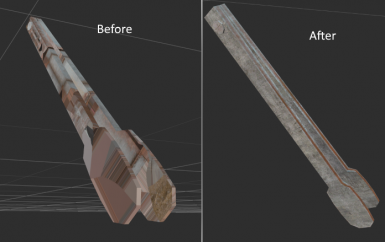 Intended for people who want a fresh slate to build their own style of base with. 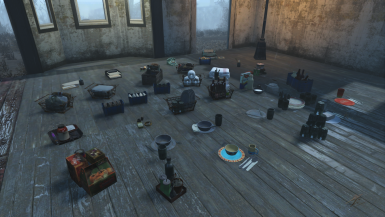 Inspired by a new settlement mod for Swan's Pond by fftfan I made a mod that cleans up some of the broken items, garbage, etc. in the Swan's Pond area but without breaking precombines. 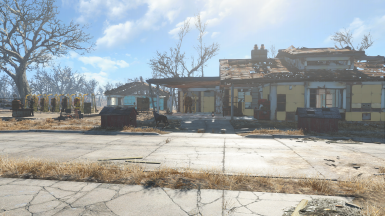 Inspired by a new settlement mod for General Atomics Galleria by fftfan I made a mod that cleans up a lot of the broken items, garbage, etc. but without breaking precombines. I've also made the unique Mr. 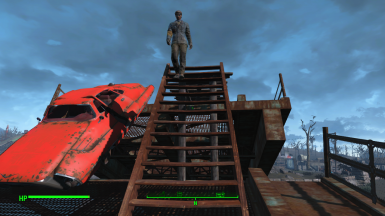 Handy robots protected so that they can survive the settlement attacks. 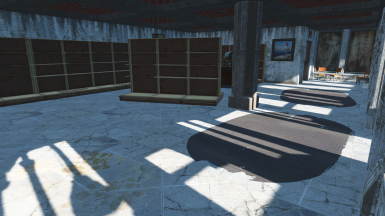 Fully scrapped Sanctuary (vanilla only, no scrap mods), 6 beds, crops for several people, nuclear power generator, large water purifier, turrets at spawn points, and includes numerous crafting related benches/power armor stations all gathered together. Intended for people who want a fresh slate to build their own style of base with. 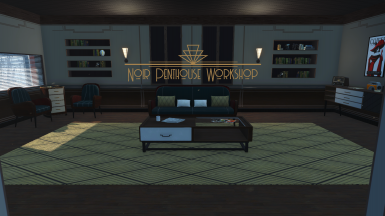 Transforms the Noir Penthouse Creation Club into a full workshop building kit with 150+ structural pieces in 5 different textures, 100+ new decor items, new lighting, and built in compatibility with features of popular settlement workshop mods such as Snappy Housekits, Do It Yourshelf, Modular Kitchen, Creative Clutter, CWSS, and Cat Deco. 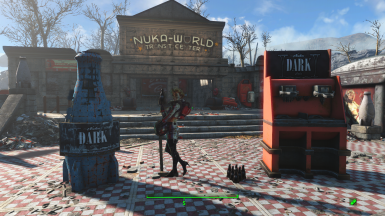 This is a tribute to the brilliance of Bethesda's marketing for Nuka Dark Rum. 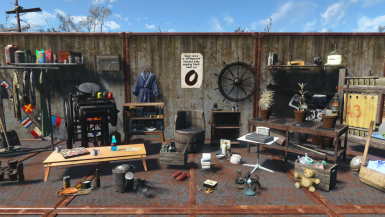 Craft new settlement items and a new drink item called Nuka Dark Rum. 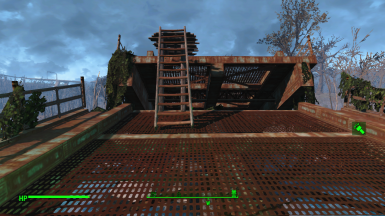 All bridges in the Commonwealth should be functional! 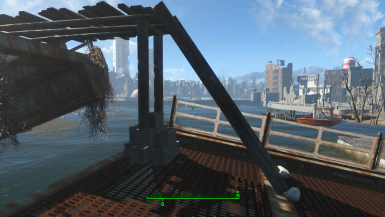 This mod adds usable shack bridges to various split level bridges such as at Gibson Pier, Egret Tours Marina, and near Cabot House. May include other bridge changes in the future. A bridge for the Egret Tours Marina Bridge so you can finally use it to walk over. Fully navmeshed so your companions use it too. A bridge for the Gibson Pier Bridge so you can finally use it to walk over. Fully navmeshed so your companions use it too. 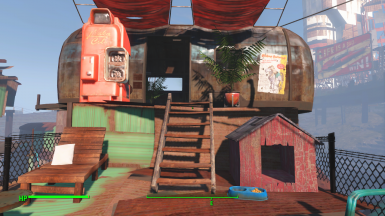 Finally a Home Plate exterior that makes the Upper Stands residents look like scavvers. Drink a beer on your new deck or harvest plants from your personal greenhouse. Enjoy a bathroom area better than an outhouse and even a storage area. 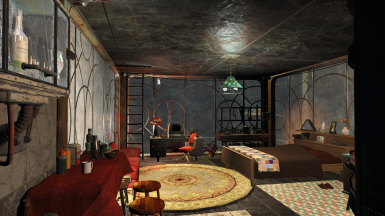 All with lots of clutter detail to make your home look like you actually live there.